Kent Green Hop brewing is under way! With just a few weeks to go before the start of Kent Green Hop Beer Fortnight brewers are rushing around like crazy to grab those fresh hops and make them into beer. Be sure to join us at Canterbury Food & Drink Festival from Friday 27th to Sunday 29th September and in the county’s pubs between 27th Sept and 11th Oct for your chance to drink this year’s Kent Green Hop Beers! 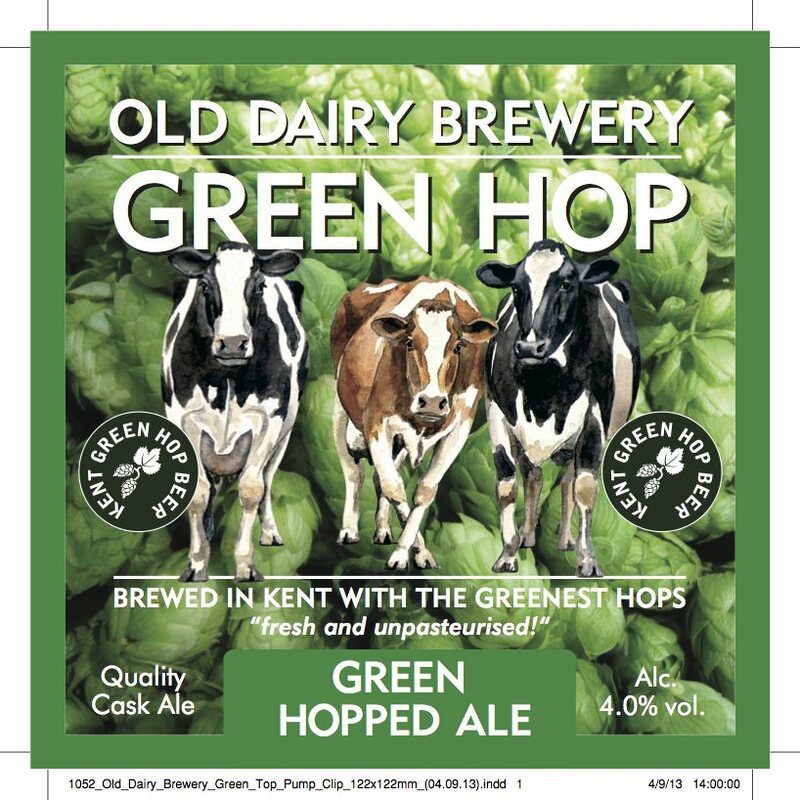 It was the first to brew a Kent Green Hop Beer last year and for the second year running the first brew has been carried out by Old Dairy of Rolvenden, near Cranbrook. Old Dairy’s three single hopped KGHBs will feature Admiral, Challenger and Target respectively. Old Dairy may be first but Kent Brewery in Birling (north west of Maidstone) are claiming to be fastest. Their Twitter feed says they managed to get their hops into the copper in just 2.5 hours from bine to brew! Mad Cat Peter shovelling fresh green hops! Autumn Sun has been named for the colour of the beer and will feature Fuggles hops. Mad Cat got its hops from Redsell’s Farm which is just four miles away from the brewery. If you’ve just popped by the website don’t forget to sign up to get Kent Green Hop News by email so you’re up to date with all this year’s happenings. Kent Green Hop Beer Fortnight 2013 is sponsored by Simply Hops. 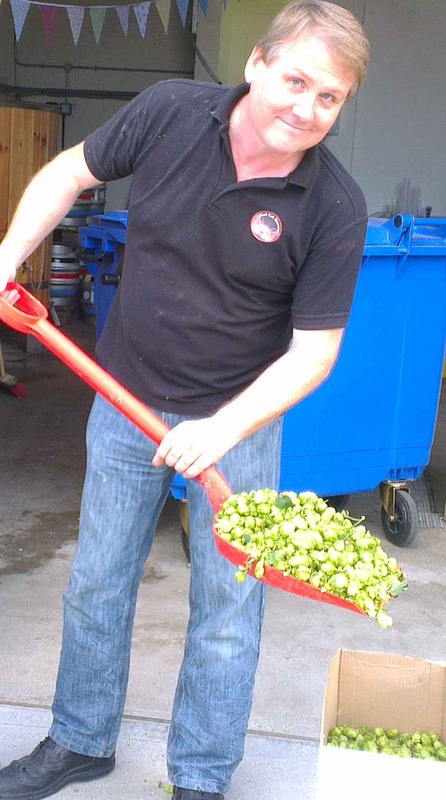 ← New: Kent Green Hop brewery open days!